The Global Digital storage device Market is estimated as $1.36 billion in 2014 and is poised to reach $6.27 billion by 2022, growing at a CAGR of 21.05 % from 2014 to 2022.The arrival of cloud computing has given rise to trends such as enterprise mobility, Big Data and analytics – which have created progressively more linked data ecosystems, and this is driving the demand for digital data storage capacity. Whereas, producing enough storage devices to hold the rapidly increasing rate is the major challenge to this market. The cloud has been regarded as a threat to digital storage devices market, but that is a false assumption—increasing rates of cloud adoption will amplify the demand for the hard drives and solid state drives that comprise cloud storage, creating more opportunities for storage vendors. The solid state drive (SSD) market has seen a barb in growth, but hard disk drive (HDD) technology is remote from dead. 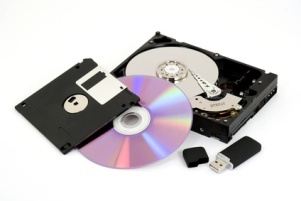 The Global Digital storage device market is categorized by the type into Hard Disk Drive, Solid State Drive, Memory cards, Floppy disks, Optical Disc drives and USB Flash Drives. Optical discs are further classified into Compact Disk – CD, Digital Versatile Disc – DVD and Blu-Ray DVD. By Geography, the global Digital storage device market is segmented into North America, Europe, Asia Pacific and Rest of the World. The major players in the global Digital storage device market include Lenovo, SanDisk Corporation, Transcend Information, Inc., Sony Corporation, Seagate Technology, Toshiba Corporation, Western Digital Technologies, Inc., Kingston Technology Corporation, Inc., Intel Corporation, Inc, Samsung Electronics.